Crediton Town Band are a non-contesting brass band who concentrate on playing concerts and engagements throughout the year. They are a mixture of local people of all ages and playing abilities who enjoy playing music together. A celebration of new and traditional routines featuring all the favourite characters, evoking memories of sunny summer days – at any time of the year! Dan has been performing for the last 15 years, all over the World. He has worked at Festivals , on Stages and on the Streets in front of thousands of people. His quick wit and on the button ‘improv’ silliness is a sure fire hit with any audience! George Nixs – one of the best-known “live” entertainers for clubs, pubs & events throughout the South West – and Mark are OddSox, a duo that delivers a massive repertoire for every taste and every age-group. 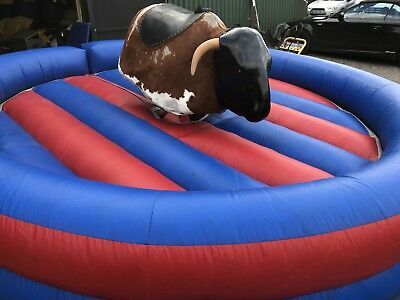 Bucking Bronco Rodeo, suitable for ages from Eleven years and over.